** Measurements represent the 2 WD model only. Refer to the product specification sheet for 4 WD measurements. 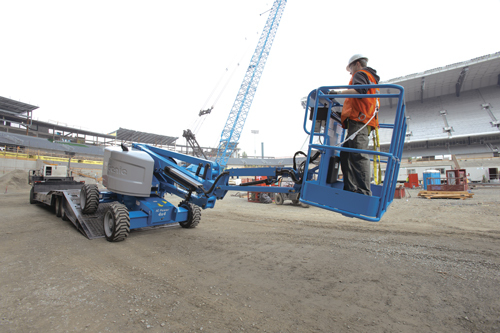 Ideal for outdoor construction and industrial applications Genie® engine-powered articulating Z™ booms provide lifting versatility with a combination of up, out and over positioning capabilities and outreach that’s second to none. 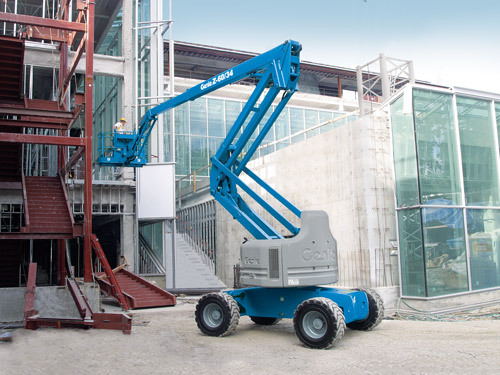 *Imperial measurements of working height add 6 ft to platform height. The metric equivalent adds 2 m to platform height. 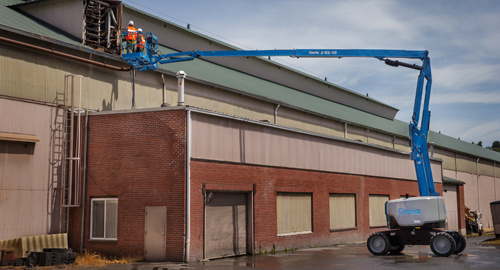 *Imperial measurements of working height add 6 ft to platform height. The metric equivalent adds 2 m to platform height..